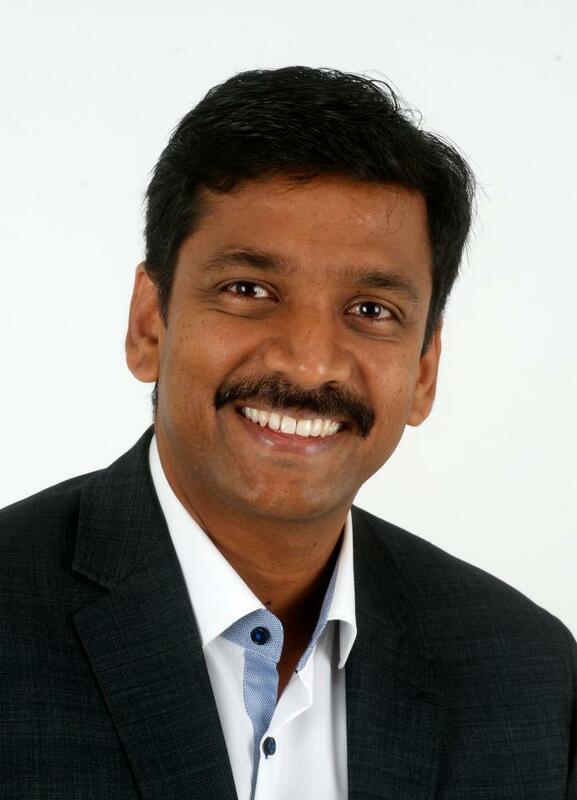 The Chennai36 team interviewed the current CEO of LatentView Analytics, Gopi Koteeswaran of the batch of 1993,who graduated with a B.Tech in Mechanical Engineering. He later pursued MBA programs at IIM Calcutta and IMD Switzerland. He gives us many insights into the glorious field of analytics, and the current scope of the field. 1. How does mathematics help in analytics? In a business, there is always risk optimization and probability. For example, consider a newspaper. Imagine one column has been given for a large advertisement and they pull out of the deal at the last moment. You surely can’t publish the ad for free, so you’ll need backups to fill space. You use a lot of data and mathematics to plan your sales- at which place, at what price and till when. You also plan discount sales at the right time, using analytics. This is even more essential when there are a large number of competitors also offering discounted prices. You need to be able to estimate for how long you will offer the sale. Similarly in the stock market, to work as a stock trader, you need to have a very good risk acumen using probability. 2. How can analytics facilitate innovation? Innovations are of two types- incremental and disruptive. Incremental innovations could include for example, packaging a product better, or adding features to existing products. These are a very important aspect of any business/ industry. We have found that social media data is a great source for these kinds of innovations. The advantage social media data offers is it offers the opportunity to listen in to natural conversations that are not boxed or biased in any way. It also offers a huge panel of consumers that would be very expensive and difficult to reach using traditional sources like survey and FGDs. The biggest opportunity social media data offers are unobvious associations that traditional market research routes would miss altogether. It could, and has turned out that the winning feature or what is really important to the customer was missed altogether due to certain assumptions innovators make. Disruptive innovations are possible using data analytics in exciting spaces like health2.0 – where there is an explosion of data from devices measuring ‘everything’, psychographic and behavior data of the consumers, macro data on demographic and propensity to certain medical conditions. Although it is challenging to find patterns and make sense of all this information, especially in light of data security and privacy issues, it could lead to enhancing the health of the consumer and bringing down health care costs of nations. We encourage our clients to combine various sources of data to get the most accurate 360 degree view of a consumer or business solution. Typically, data can be Internal or External. Internal Data refers includes customer support logs, CRM databases, transactional data etc. External data could include geo-location data, social media data etc. Data can also be structured or unstructured. By combining various data sources and formats, the granularity and accuracy of Insights that emerge are superior. 3. What kind of analytics does your company do? LatentView Analytics works with Fortune 500 companies, providing them with the entire range of analytics services that spans across business functions. We use data to gain Insights that help them address any business challenge they have- be it Marketing, Supply Chain, Risk Management and so on. When it comes to Marketing Analytics, we’re considered global leaders in this space. We have a vast, advanced body of work when it comes to using digital data. 4. Any examples of how analytics can help major companies? Analytics has become the de facto way large global companies make decisions. As the CEO of a large enterprise told me, companies are consciously trying to remove ‘gut feel’ from decision making. Organizations are becoming data driven. Even functions like Marketing which were based on ‘educated guesses’ and ‘instinct’ are now completely data driven. There are numerous examples I can give you. For a large telecom equipment manufacturer, we were able to build a model to predict a critical customer complaint- those that would result in significant loss to business- so that they could be dealt with differently. For a telecom services company, we have used Big Data and Visualization to build a real-time map of network performance. They can tell when a node is down within seconds and have it addressed, often even before the affected customers realize it. For a CPG company, we helped them identify the next ‘top selling’ flavor for their chips by studying historical data and applying the trends to existing social media conversations around key topics. For an e-commerce site, we were able to increase their revenue by creating a product suggestion mechanism that was customized to the individual shopper. This resulted in greater cross selling. We have also created heat maps that help e-commerce companies where online cart abandonment happens. 5. Whom do you recruit and who are your major clients? We recruit both engineering graduates and MBA’s. Our analysts work to solve some of the biggest problems of some of the world’s largest brands. We are also on the exclusive list of Advanced Consulting Partner to Amazon Web Services (AWS). 6. Where do you see analytics in the future? Analytics will be, in some firms already is, synonymous with decision making. There is a great potential for this industry. Its on a high growth path and there is an increasing demand for it. 7. What are the differences in attending schools in India and abroad? After completing my engineering at IIT Madras, I did my MBA in IIM Calcutta. I then did a second MBA at IMD, Switzerland. Attending an international school of high repute exposes you to great diversity. You get to meet people from diverse backgrounds – In a class of 90 students, we had representation from 45 nationalities. The interesting part about interacting with people from diverse backgrounds is that you start out thinking you are learning a lot about their cultures and you end up learning a lot more about yourself and your biases! JEE in our times was competitive, but not as super competitive as it is now, with only a miniscule percentage of the population making it. What I liked about JEE was that you had to approach everything from the first principles to get through. 9. How was your life as a student? Fantastic! IIT was great fun and we were actively involved in many fun events including the cultural festival, called Mardi Gras at that time. Hostel life was very enjoyable – we still catch up to reminisce about those fun filled days. 10. What advice would you give to the current students? As long as you enjoy doing something, I am confident that you will achieve excellence in it and also make significant contributions to the field. Being an IITan, I guess that you do have a need to achieve excellence and if you are having fun along the way, why not?